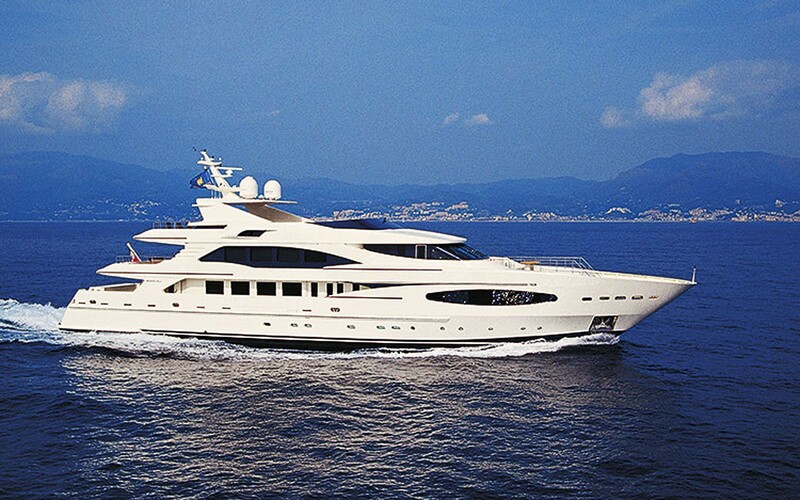 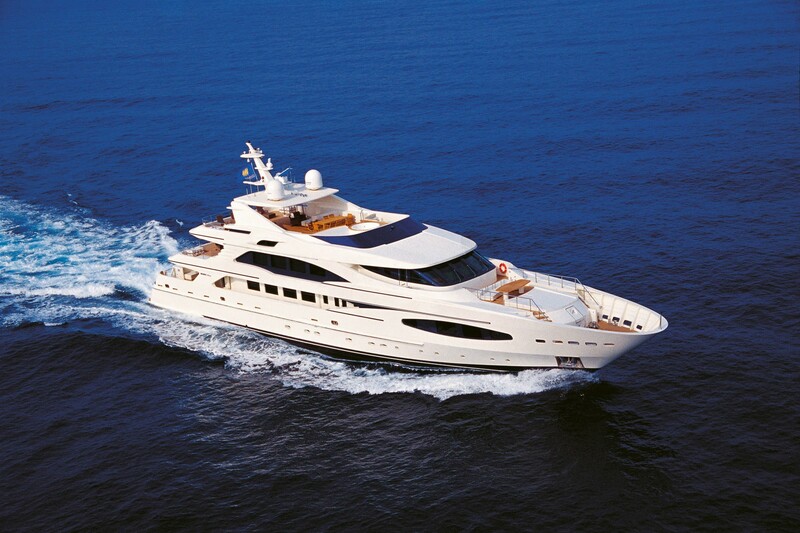 Motor yacht PRINCESS IOLANTHE is a 149 foot / 45 meter motor yacht built in 2006 by the Italian yard of Mondo Marine. 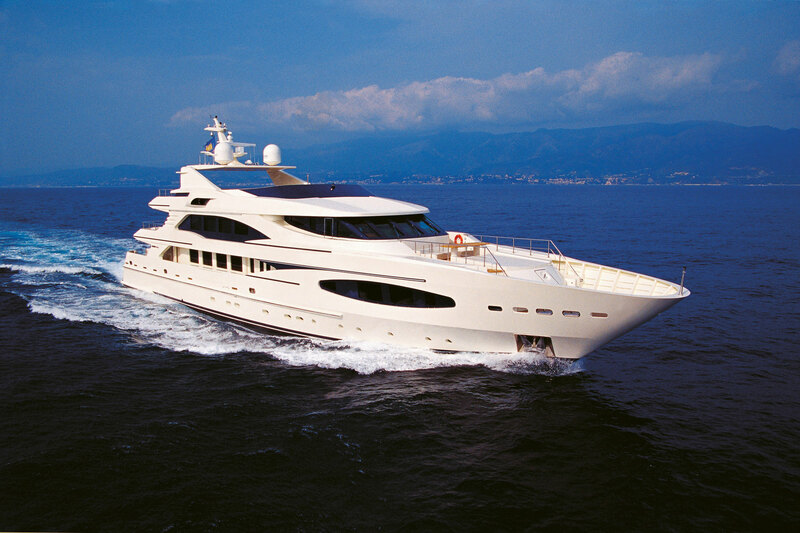 She offers accommodation for up to 10 guests. 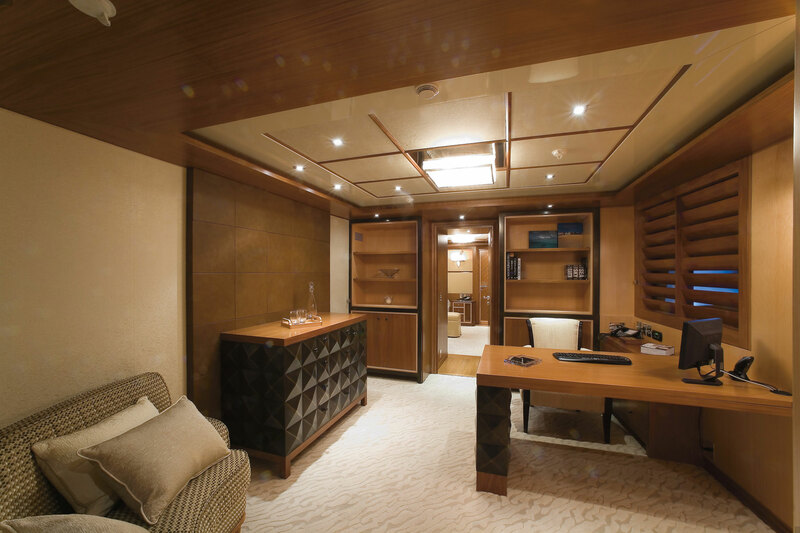 With PRINCESS IOLANTHE’s luxurious interior design by Jean-Pierre Fantini all guest spaces are large, airy and extremely comfortable. 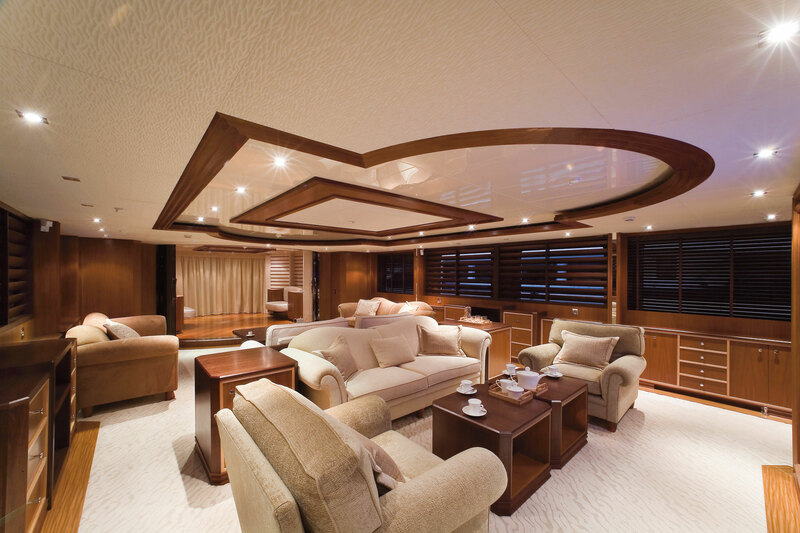 Her interior and exterior design can be described as contemporary and functional as well as nice and cosy. 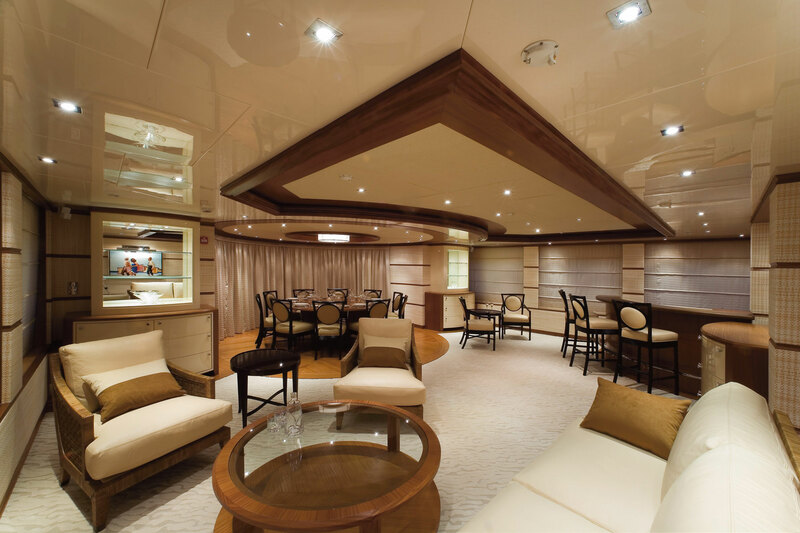 The salon offers ample areas to relax on plush earth toned sofas and occasional chairs, a large aft foyer gives access to the shaded aft deck and alfresco dining option. 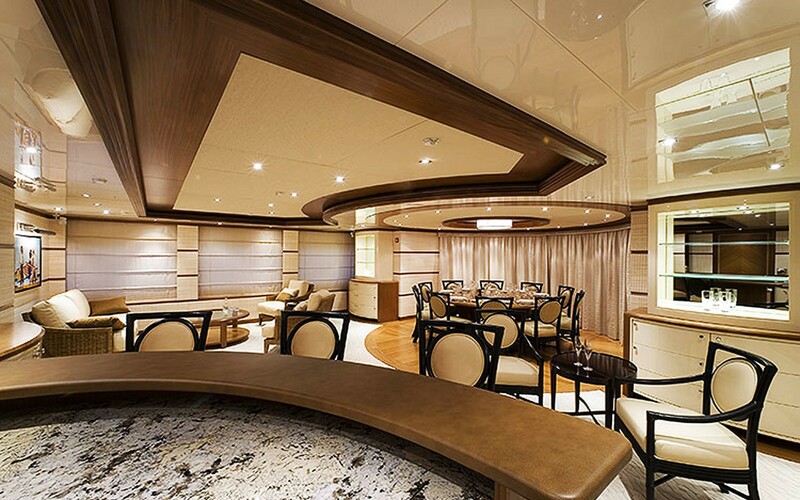 PRINCESS IOLANTHE offers an upper bridge deck complete with social lounge area, wet bar and formal dining space, which is wrapped in symmetrical doors, creating an indoor experience, with the option of fabulous exterior views. 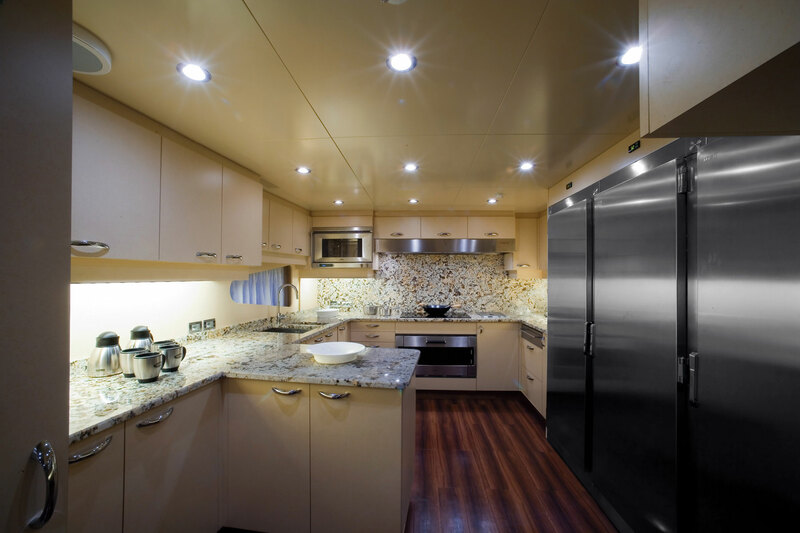 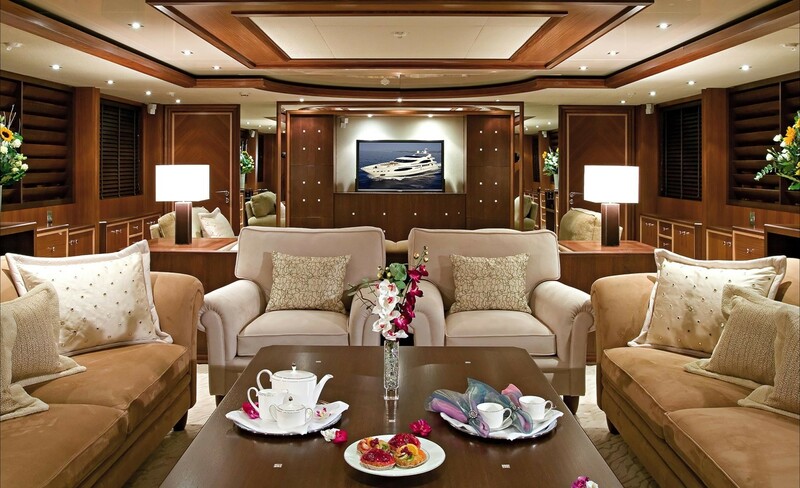 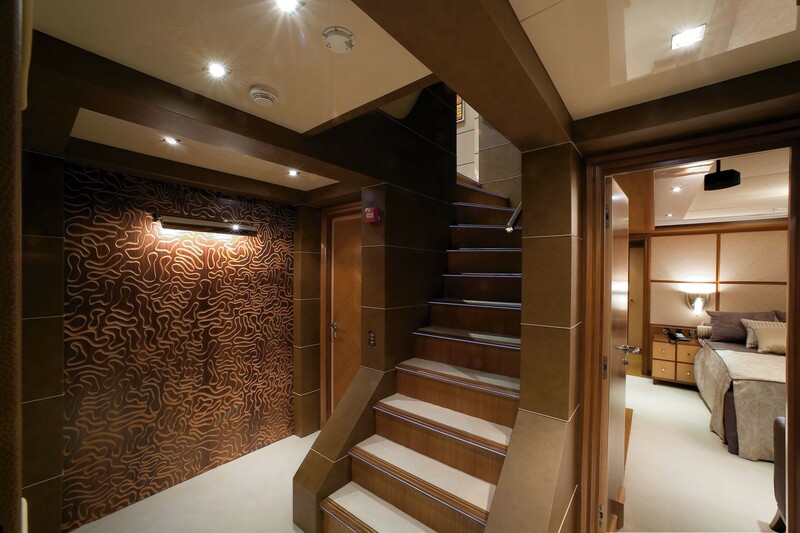 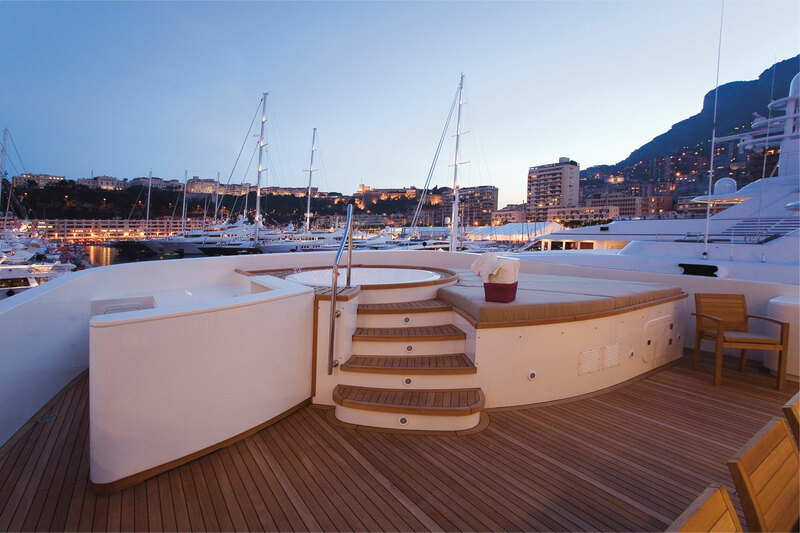 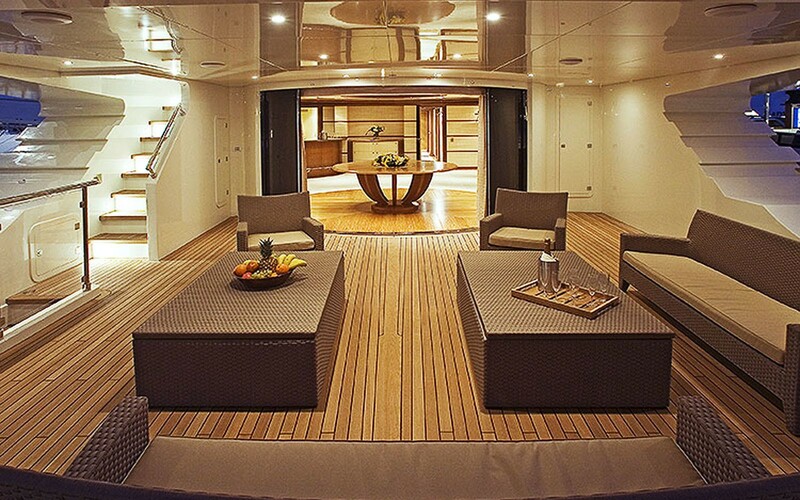 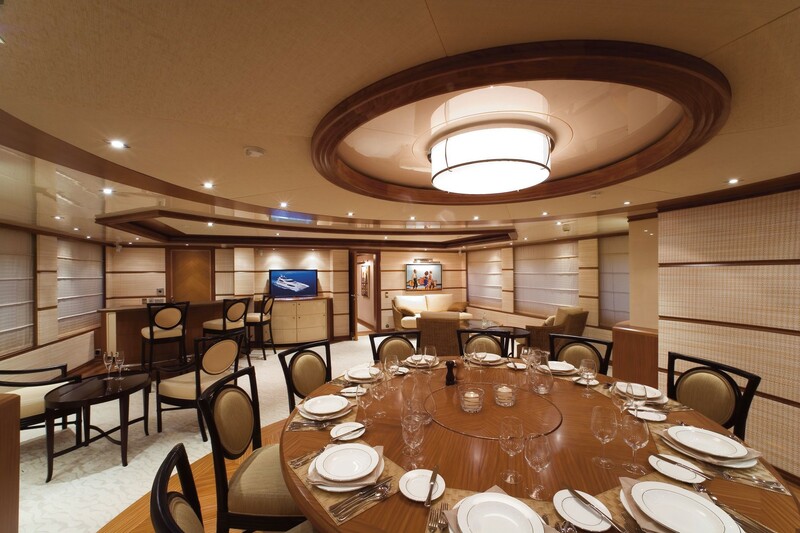 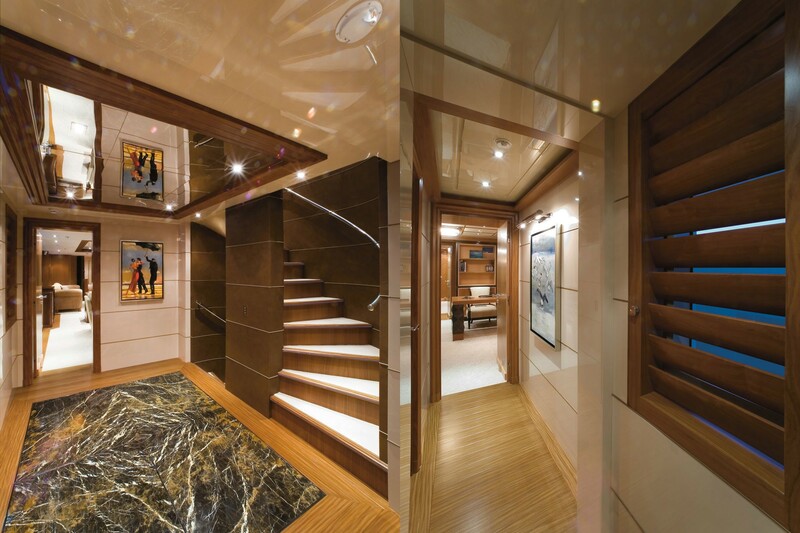 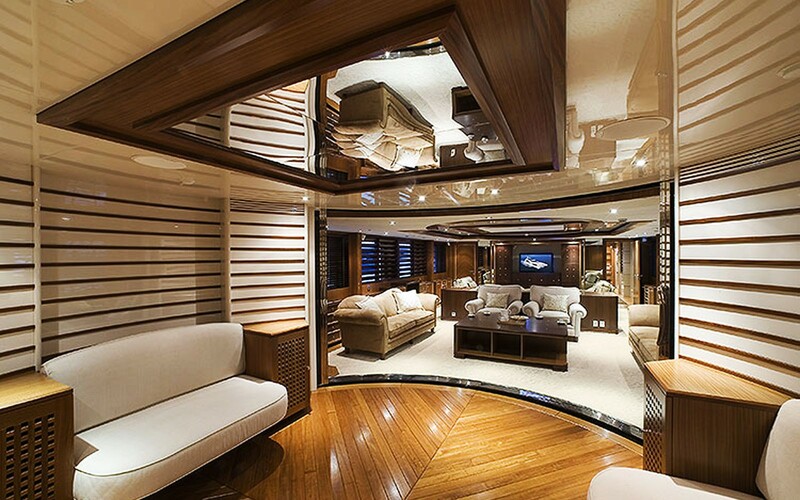 The doors open out to a large aft deck with plenty of lounge seating for all to enjoy. 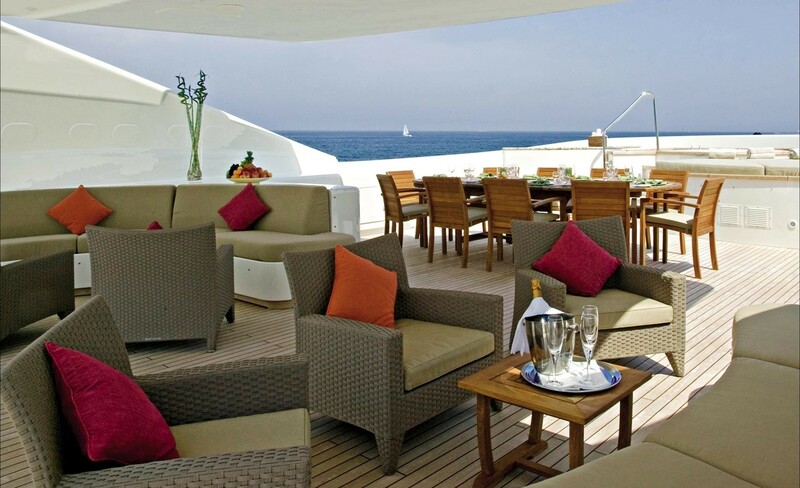 A further alfresco dining area is forward. 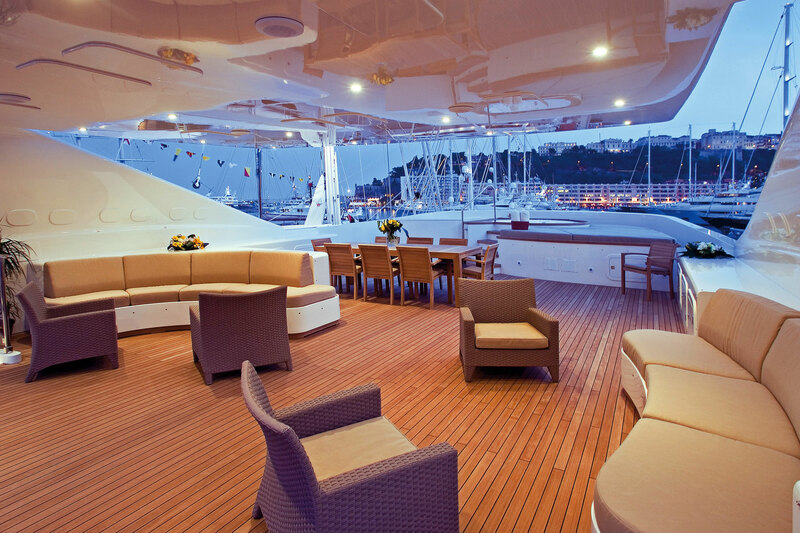 For the perfect casual entertaining space, the top deck board PRINCESS IOLANTHE is ideal. 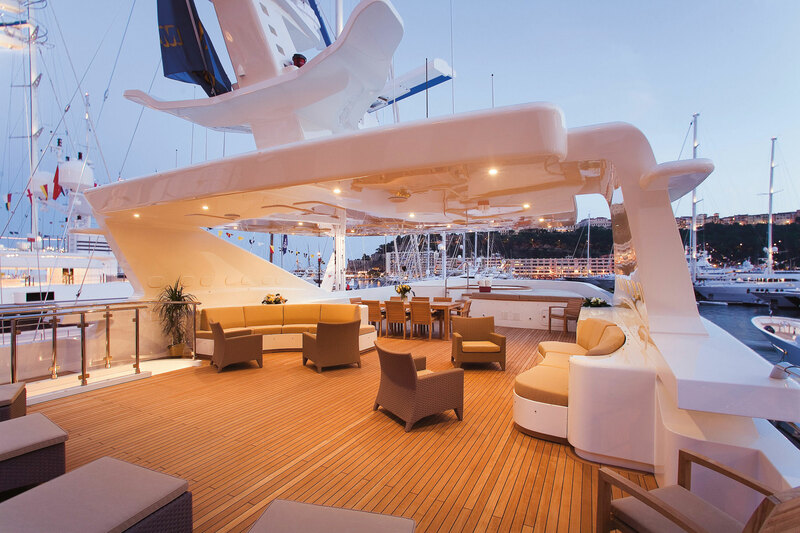 Guests can sit back and soak up the sun on the chaise lounges or sunpads, take a dip in the luxurious Spa Pool tub, socialize in the lounge seating, sip a cool cocktail from the wet bar and dine alfresco under the stars. 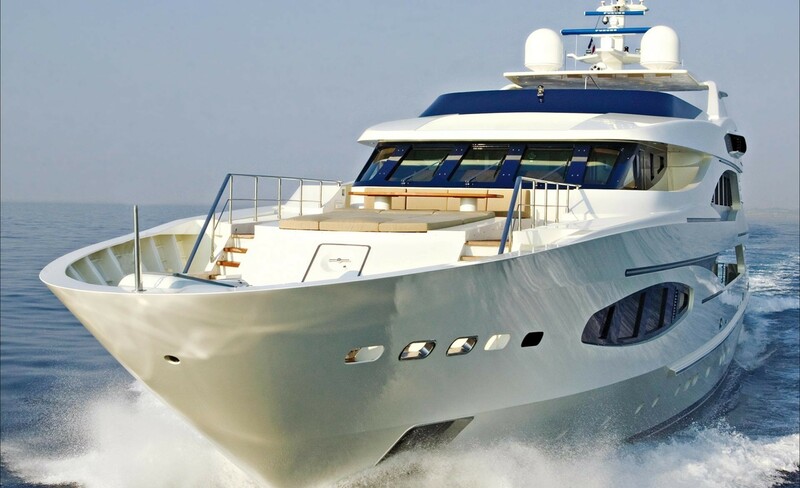 Sleek and stylish, PRINCESS IOLANTHE is a beautiful yacht that cruises at 14 knots with a top speed of 16 knots. 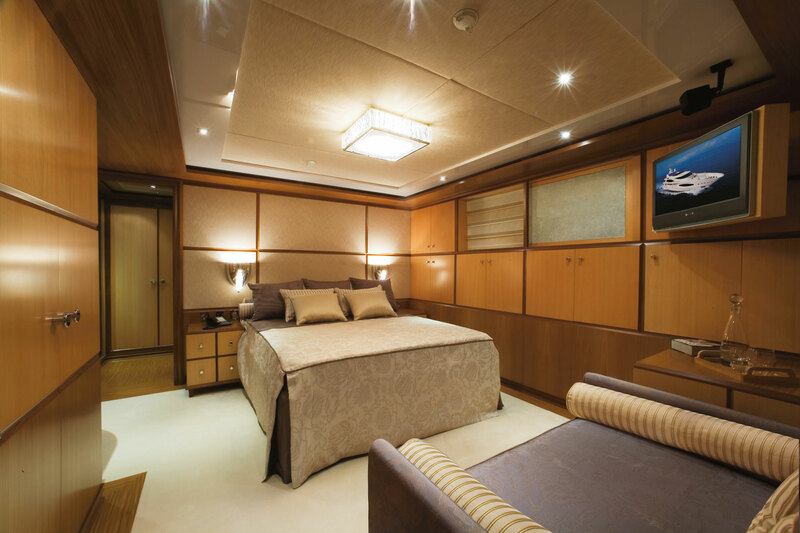 PRINCESS IOLANTHE provides guests with the following accommodation for 10. 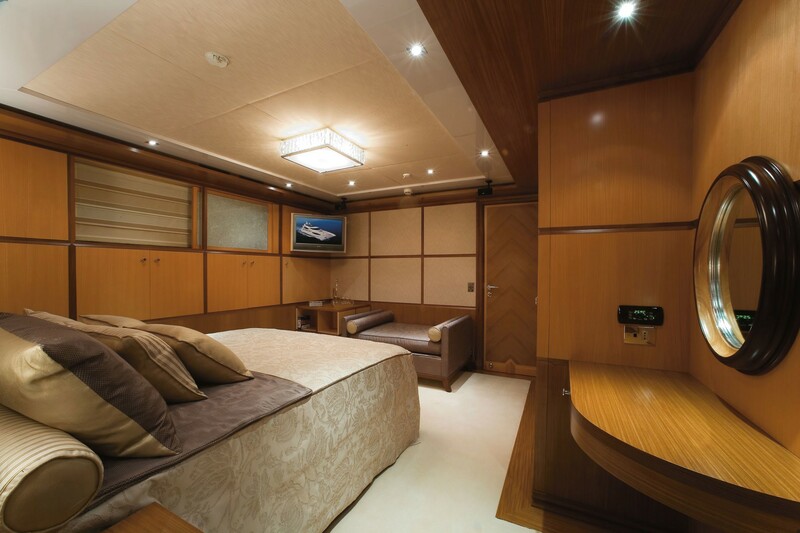 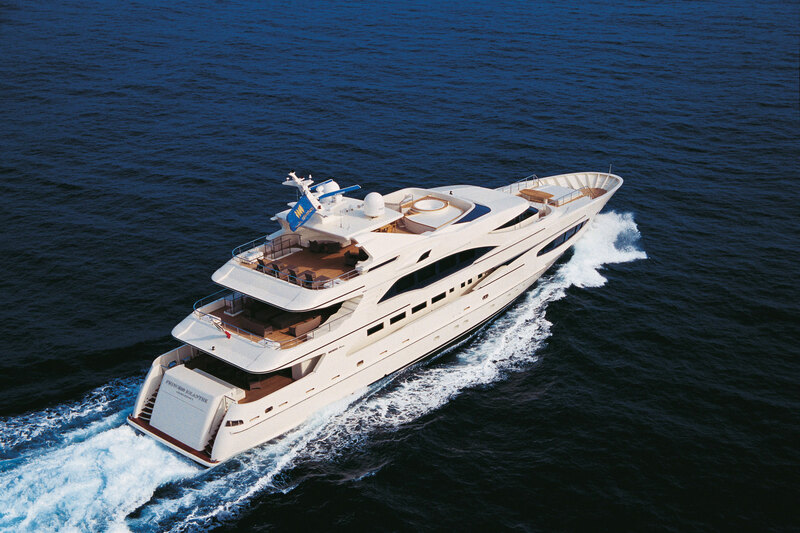 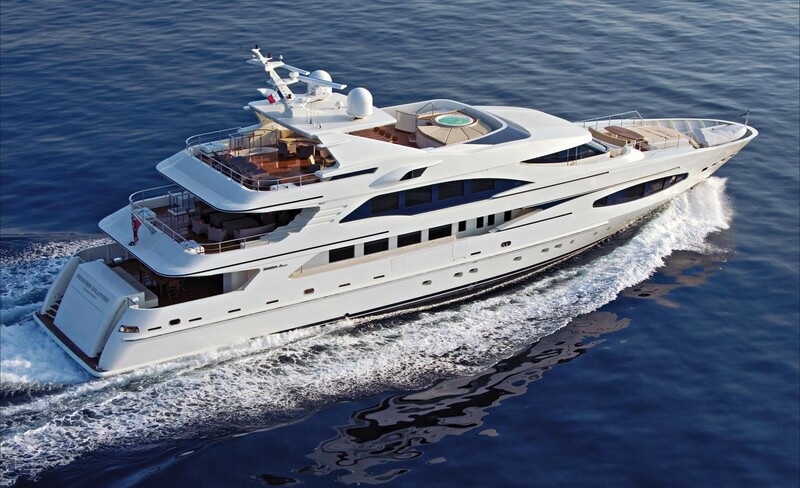 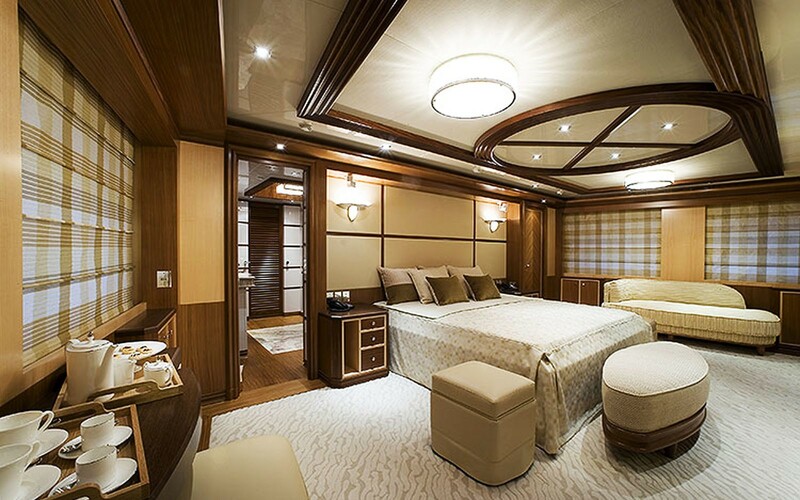 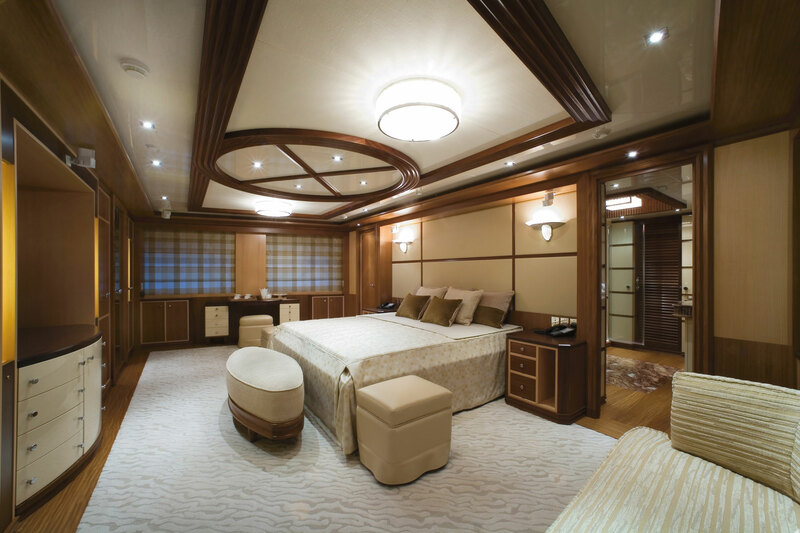 A master suite on the main deck forward and full beam of the yacht with king size bed and a private office. 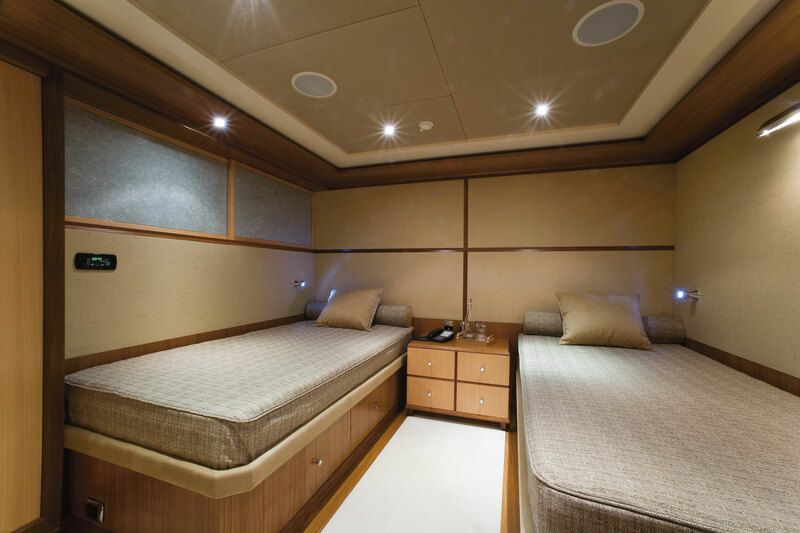 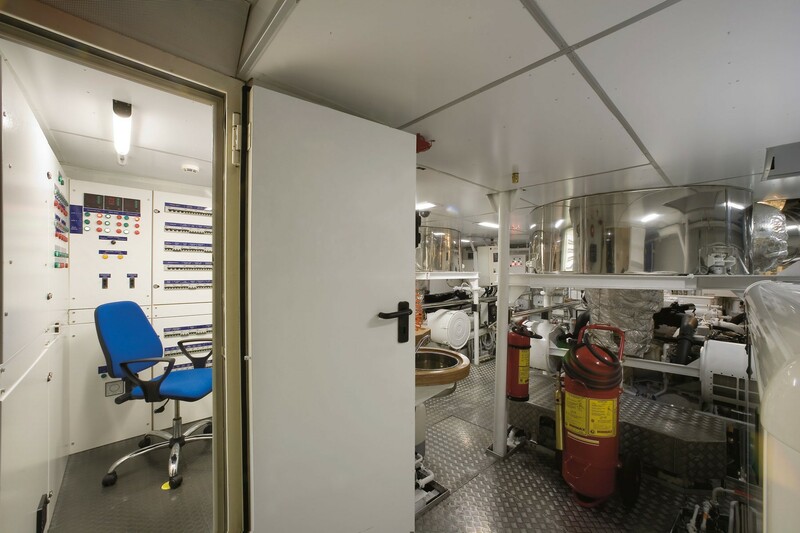 Two double cabins on the lower deck with queen size beds and 2 twin cabins with single side by side beds. 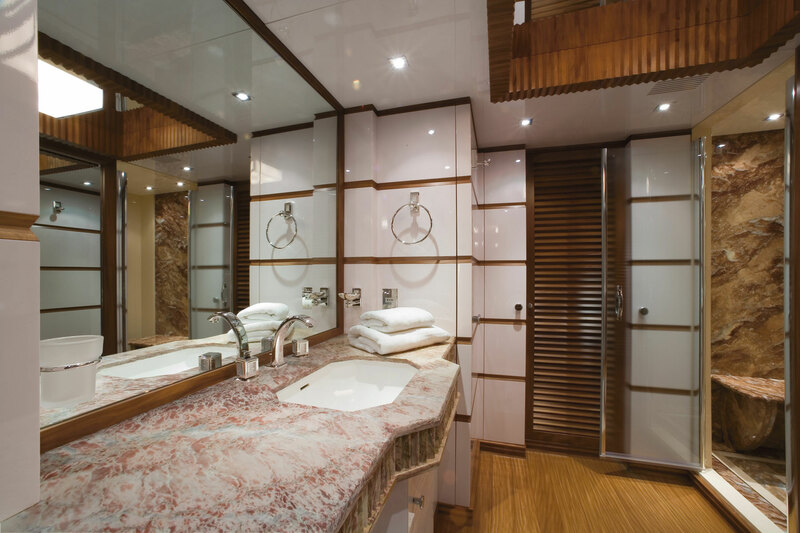 All the cabins offer en-suite facilities and an elegant ambiance; neutral tones and fine finishes create an inviting feel. 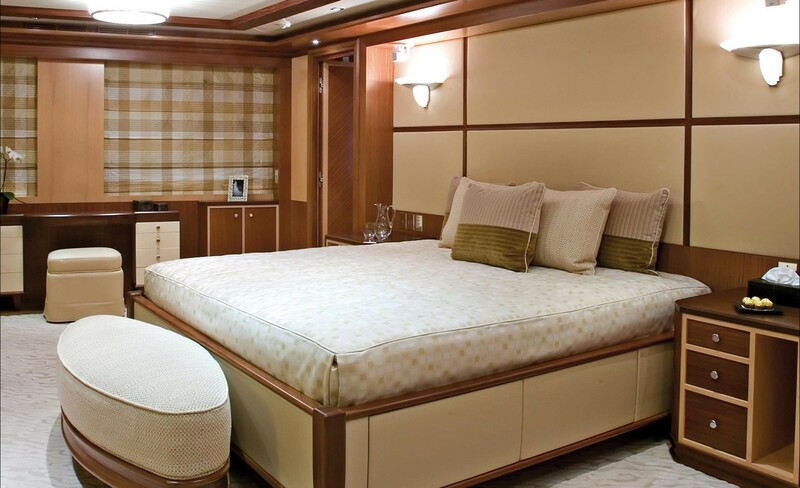 PRINCESS IOLANTHE provides guests with the following amenities and ‘toys’: Tenders & Toys: Guest Tender – 5.6m Novurania inboard diesel, Crew Tender – 4m Novurania 40hp O/B, 1 x Wave runner 2/3 man ( to be decided), 1 x Stand up jet ski ( to be decided), Ski’s / Wakeboard / Inflatable toys / Snorkeling kit. 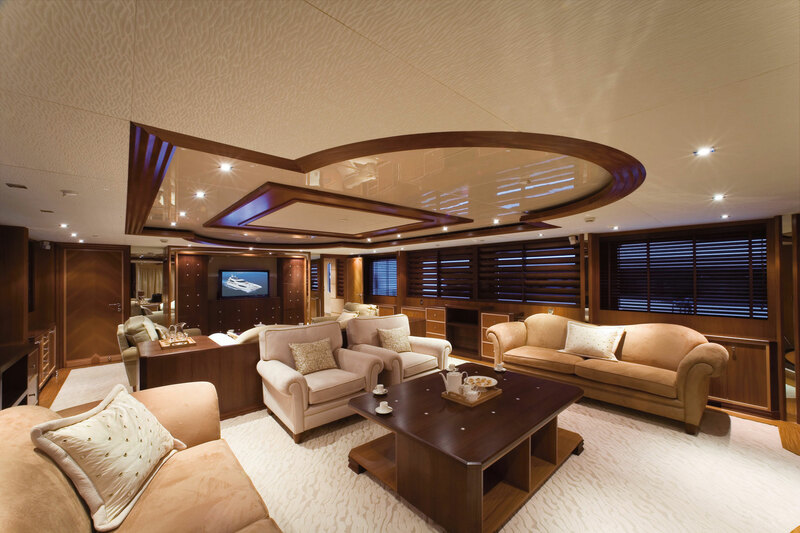 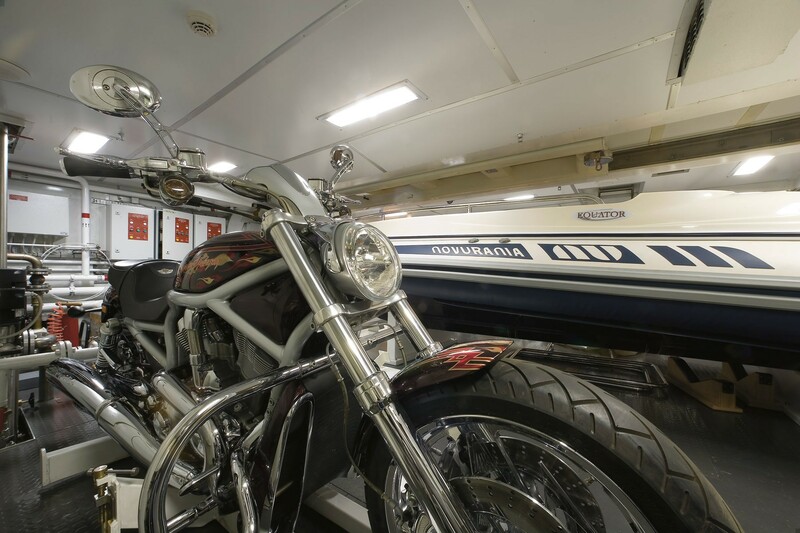 Audio Visual Equipment and Deck Facilities: Master Cabin – Panasonic 42” Plasma / DVD / Bose sound system / Sat-tv decoder, VIP 1 & 4 – Sony 26” LCD / Bose sound system / Sat-tv decoder, Twins 2 & 3 – Sony 19” LCD / Denon sound system / Sat-tv decoder, Main deck salon - Panasonic 42” Plasma / DVD / Bose sound system / Sat-tv decoder, Upper deck salon - Panasonic 42” Plasma / DVD / Bose sound system / Sat-tv decoder, Upper aft deck – Bose sound system, Sundeck - Bose sound system, Sea-tel tv system. 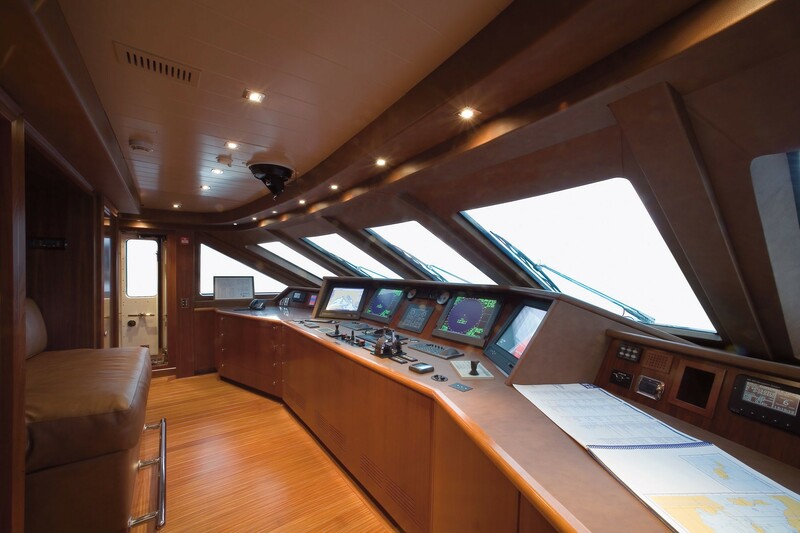 Communications: VSAT Sea-tel 4006 (Data & VoiP), Inmarsat Mini – M, Iridium Sat phone, GSM, Fully GMDSS compliant (unlimited notation).